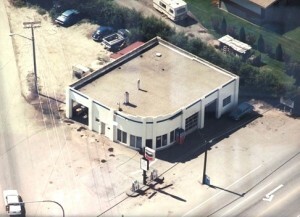 Williams Automotive, a family-owned and operated automotive services business, has been providing quality service to Kelowna residents since 1969. After 46 years of customer-driven experience under our belt, we have developed a reputation based on honest, low-pressure sales. And while many automotive mechanics upsell customers on products and services they don’t need, Williams Automotive is different. 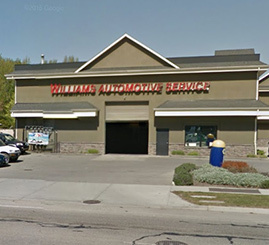 Williams Automotive operates out of a clean, spacious and fully up-to-date shop staffed by fully-trained and highly experienced automotive technicians. The shop’s technology includes the latest diagnostic equipment, which can be used to pinpoint mechanical and electronic problems on most major car makes and models. Plus, we do all of our work in-house, allowing our technicians to personally oversee the repairs on your car from start to finish. Finally, our friendly, courteoKelowna Auto Mechanics, Repairs, Services staff helps ensure that you will receive as much care and attention as we provide to your car. We service all major car makes and models, providing maintenance, basic repair and provincial inspection services. We also sell and install a wide range of tire brands and models. Our clean, spacious shop includes the most up-to-date diagnostic equipment to assess your car so that we can create a report on the repairs that must be done now – and what may need to be fixed down the road. If your car isn’t running at its best, Williams Automotive can help get you back on the road quickly and with as little frustration as possible. Williams Automotive is a leading family-owned automotive services business that strives to provide honest, low-pressure sales and high-quality workmanship. Come visit our shop on the corner of K.L.O. and Benvoulin in Kelowna to experience the difference!